The Magical Girl genre of anime — shows like Sailor Moon that feature girls and young women who are superheroes — is a popular genre, particularly among LGBTQ fans. Queer fans just got another reason to celebrate: the latest episode of Hugtto! 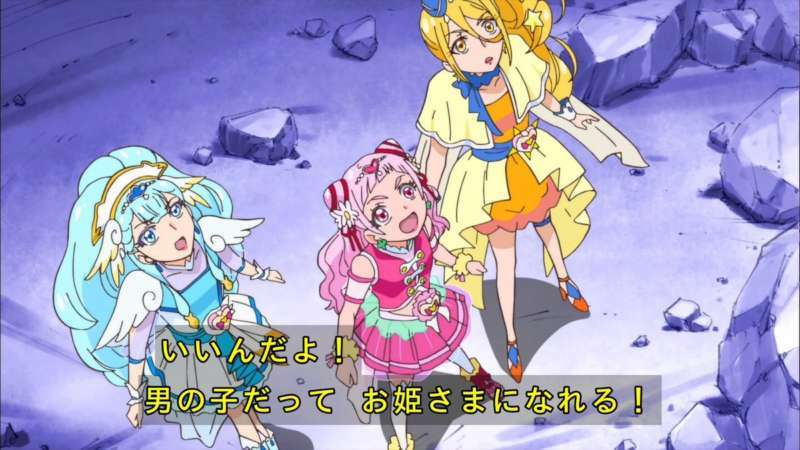 PreCure, part of the massively popular Pretty Cure franchise, featured a scene in which the stars encourage a boy who likes to wear dresses. This latest episode, which aired June 10, “So Exciting! The Aspired Runway Debut! ?” featured Henri, a schoolboy who likes to wear dresses. He invites the main characters to a hero-themed fashion show. One of Henri’s classmates, Masato, insists only boys can be heroes and also makes fun of Henri for wearing a dress. This isn’t the only time the PreCure franchise has shown itself to be an LGBTQ ally. 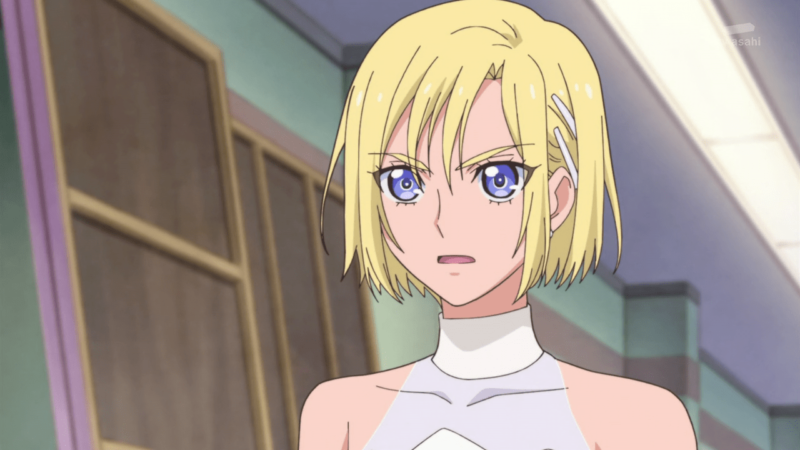 The previous series Kirakira PreCure a la Mode depicted two of its heroines as being in love, with one of them being depicted as genderqueer. 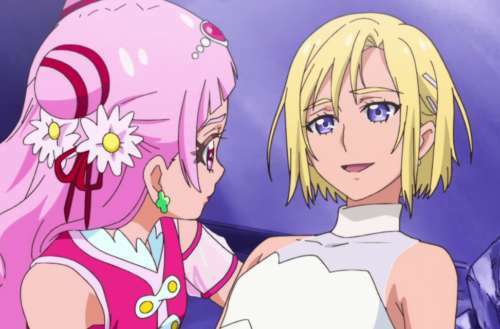 Though LGBTQ representation, particularly in children’s media, is world-changing on its own, this “Boys can be princesses!” scene in Hugtto! PreCure had a surprisingly immediate effect. The Ike no Taira Hotel offers a Pretty Cure-themed hotel room for children. Previously it had advertised that Pretty Cure room for girls, offering a room based on the Kamen Rider franchise for boys. 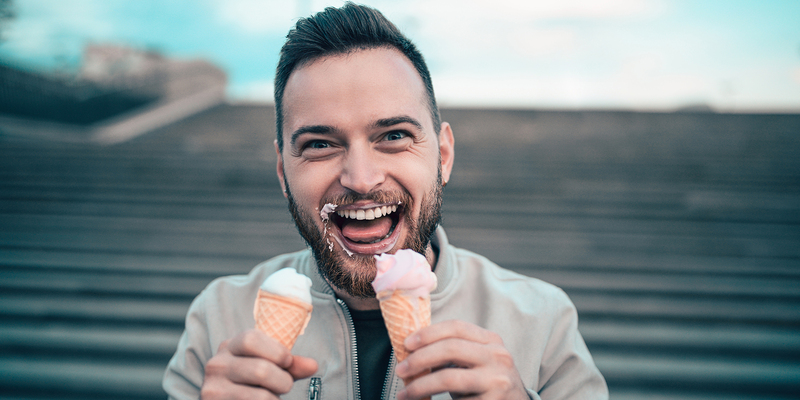 RELATED | Is This an Article About the ‘Is This a Pigeon?’ Meme? While it doesn’t appear that the hotel previously had any policy banning families with boys from staying in the PreCure room, the hotel will no longer be advertising the room as being explicitly for girls. Unfortunately, Hugtto! PreCure is not simulcasting in the United States, though Crunchyroll has the first series in the Pretty Cure franchise available. 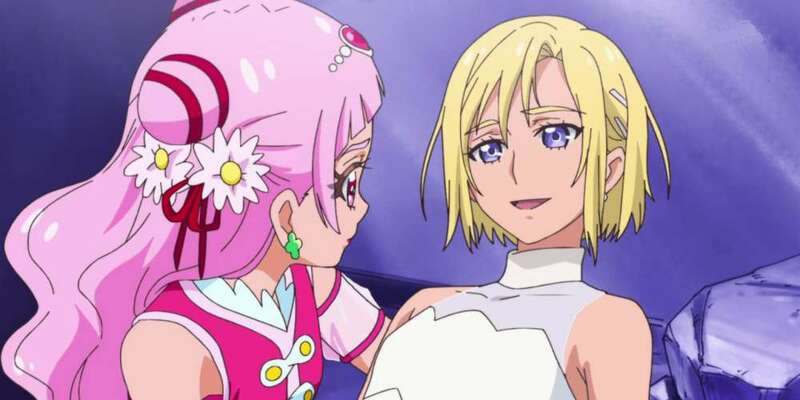 What do you think about LGBTQ representation in anime like Hugtto! PreCure and the other Pretty Cure series? Let us know in the comments.